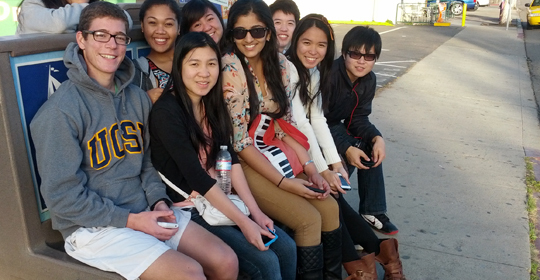 Out of State and International Students are important and valued members of the Muir College and University of California San Diego communities. As student affairs staff members we want to help you get connected to the campus and the college so that you can have the best college experience. 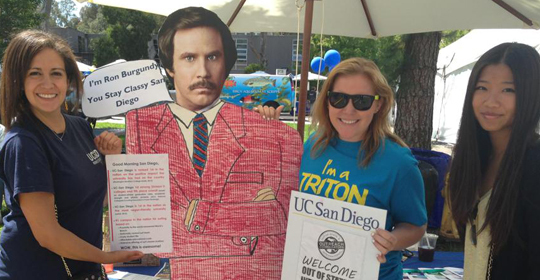 In the past year, new staff members and student interns have been hired to provide resources and events for out of state and international students at UC San Diego. For more information about the services they provide, please visit the website for Non-Resident Student Information. This includes events such as the Weekly Outreach Trivia nights hosted right in Muir’s very own Muir Woods Coffee house and Passport to Culture events. We look forward to meeting you and helping you have a successful college career. Muir College Council - Muir’s student government board, the Muir College Council, has positions for specifically for international students! Visit the Muir College Council Website for more information or an application. 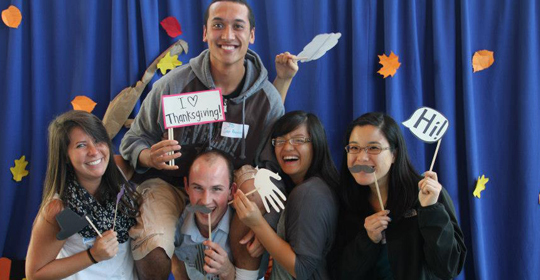 Muir Peer Program - This program is designed to acquaint freshman and new transfer students to UCSD, build a unique bond between new Muir Students and continuing Muir students, encourage involvement and knowledge of Muir traditions and activities, and successfully transition first-year students from their previous institution to the rigors of a research University environment. Contact the Assistant Dean of Student Affairs, Ann Hawthorne, for more information. International Club (iClub) - International Club (I-Club) is an all-inclusive organization that welcomes all students – both international and local. The club's programs, events, and activities are focused around increasing cultural exchange within a relaxed and inviting setting. Board of Out of State Students (BOSS) - BOSS is a panel of students that serves to better the lives of non-California residents at UC San Diego. Our purpose is to guide students in their academic and social lives. Each representative works to help out-of-state students in any way possible. Global Ambassador Program (GAP) - The Global Ambassadors Program (GAP) is a peer mentoring program designed to assist incoming undergraduate international and out-of-state students in acclimating to a new environment and making a smooth transition into university life. GAP Mentors provide friendly support in order to engage our undergraduate non-resident students and help them create solid relationships within the UC San Diego campus. Join Our Group of Facebook!